A wonderful idea I found on Pinterest. Here is the website it is from. This was time consuming to make, but overall it was easy. Separate the pops by color. I started with blue. 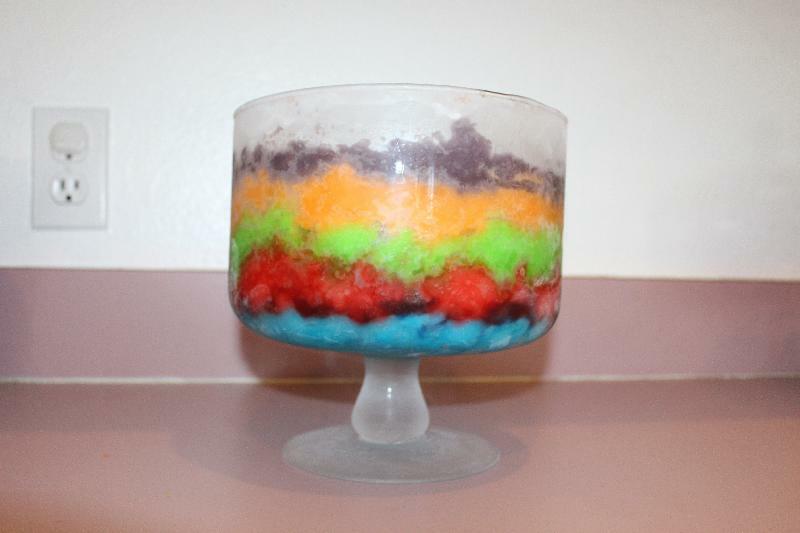 Cut open the freeze pops and put the frozen pop into a bowl. Do only one color at a time. Wait a few minutes for them to soften. Then use a fork to mush it all up. Make sure that there are no big chunks, so that it will spread easily. Empty the first color into the trifle bowl. Use your fork or a spoon to smooth it down. Place in the freezer to harden.